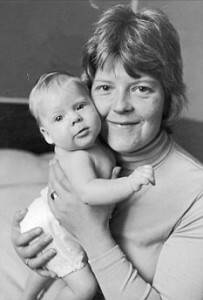 In 1978 Louise Brown was the first IVF baby to be born after the combined work of Dr. Patrick Steptoe (who made a great contribution to the research of techniques of ovarian oocyte collection) and Robert Edwards (a Cambridge University biologist with great experience in oocyte maturation). Since then, many developments with a rapid expansion of indications for IVF have occurred. The initial idea for IVF development was to bypass the tubes in patients with tubal infertility. Today with the new techniques and the simplification of the method the indications for IVF are widely expanded. You can explore the major indications to resort to IVF from the menu on the right.